For those that have read this blog for a while, seeing the name “Derek Webb” AGAIN in the title of one of my posts probably caused you to at least roll your eyes, if not actually letting out a heavy sigh accompanied with an “oh Paul…”. This is because in about a three month span, I wrote 8 posts all having to do with Derek Webb’s newest album Stockholm Syndrome (here they are: 1, 2, 3, 4, 5, 6, 7, 8). Admittedly, I kept writing all those mainly because I was boasting record visits to my site because of those articles and I wanted to maintain that. But eventually it got old, and I went back to my smaller numbers, though those article still rank as my highest visited even still. But another reason I wrote all those articles is that I genuinely adore Webb’s music. It’s incredible. Every album is a completely different experience but it’s still Webb. In honor of this, for My Fav Monday, I wanted to share with all of you my favorite song of all time. 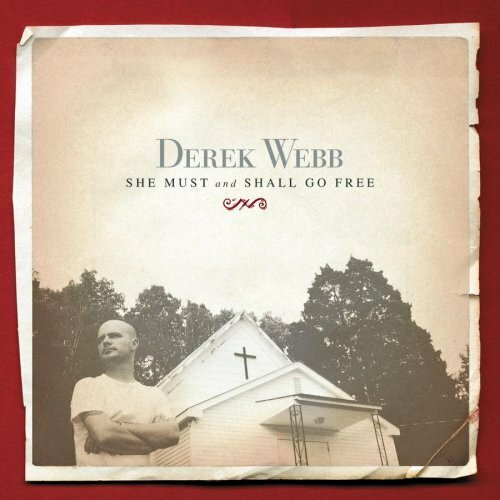 It is a song by Derek Webb off of his first solo album She Must and Shall Go Free and it’s called Wedding Dress. Below, you’ll find a live acoustic recording of the song, the best YouTube video I could find of him performing it (sorry for the sort of cheesy intro/outro), and the lyrics. This song has so much of my life and relationship to God attached to it. I hope you enjoy it as well. and I run down the aisle to you. and with the other in your side. over your very flesh and blood. when you have knowingly deceived his wife.